STUNNING! 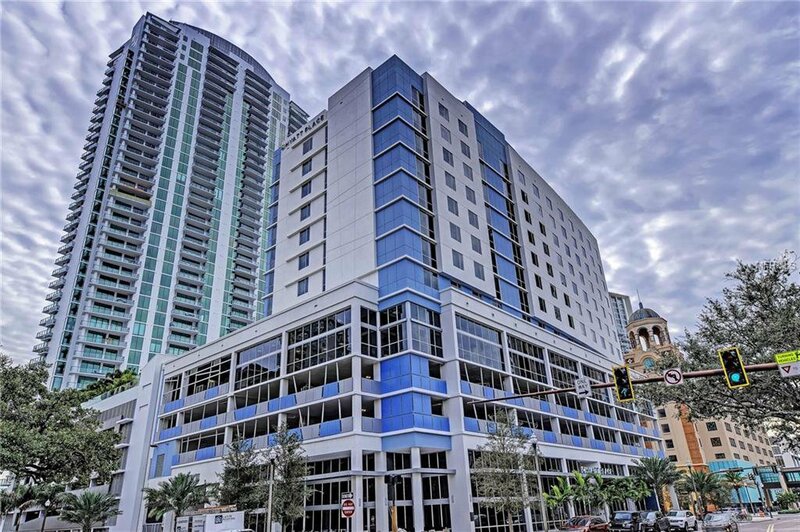 ONE St. Petersburg is the “hottest” development in town! This residence was strategically hand-selected for the elegant free-flowing floor design and perfect balance of extraordinary views, on a floor high enough to take in the cityscape of downtown yet experience downtown’s energy! The gorgeous floor-to-ceiling glass expansive floor plan captures the panoramic scenery of the vibrant blue skies and glistening waters of the Marina and Tampa Bay. With the "front and center" location of the Bravo-04 floorplan design, the guest bedroom will also have the luxury of water views from their room! The residence has an impressive upgraded Euro Designed Gourmet Kitchen with Concrete Quartz countertops that opens into the Great Room and Dining Room combination. Nuvo Calacatta flooring continuously flows throughout each room to provide the perfect canvas to design this upscale residence to your personal taste. The spacious balcony allows you to start the day looking over the Marina or take-in a relaxing evening overlooking the colorful lights of the city. ONE has a dramatic and inviting entrance with unparalleled amenities which include Resort-Style Pool & Spa, Fitness Center, Owner’s Lounge, Splash Room, and more. With a warm and inviting lobby area, both the residence and guests will feel welcomed. The residence has two designated parking spaces in the parking garage and additional storage. Select a time for your tour, and you will be impressed and ready to make it your own! Listing courtesy of KELLER WILLIAMS REALTY SELECT. Selling Office: SMITH & ASSOCIATES REAL ESTATE.